A new EPA study shows infill development making up an increasing share of residential construction in U.S. metropolitan areas. 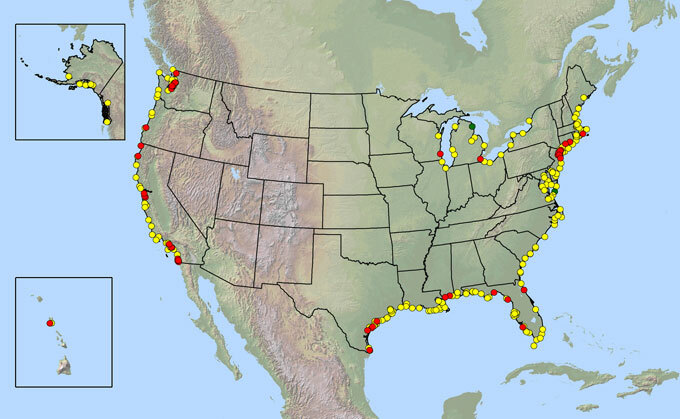 Polybrominated diphenyl ethers (PBDEs) may now be found in all coastal waters of the United States and in the Great Lakes, with elevated levels near urban and industrial areas, according to a report just released by the National Oceanic and Atmospheric Administration. EBN June 2004). Certain PBDEs have been banned in many European and Asian countries (and largely phased out voluntarily in the U.S.) due to mounting evidence that exposure to PBDEs can lead to impaired thyroid, liver, and neurobehavioral development. PBDEs are introduced into the ecosystem through runoff from industrial sites, municipal incineration, sewage outflows, and leaching from aging or discarded consumer products. As recently as 1996, the presence of PBDEs in coastal waters was limited to heavily industrial areas, but the chemical is now found even in remote areas, providing evidence that PBDEs may also be transported atmospherically.